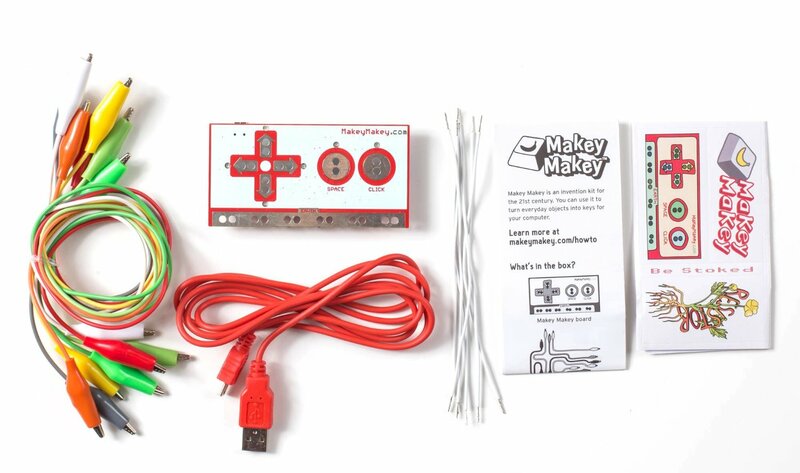 Description: Makey Makey is an invention kit for the 21st century! Turn everyday objects into touchpads and combine them with the internet. It's a simple invention kit for beginners and experts doing art, engineering, and everything in between! The kits include everything you see above: Makey Makey, Alligator Clips, USB Cable, as well as accessories like coins, sticky notes, batteries, lights, Play Doh, tape, paper clips, tooth picks, foil, and more! Also included with all SWON Tech to Lend are online resources, including instructions & curriculum, which can be found through Google Drive here.